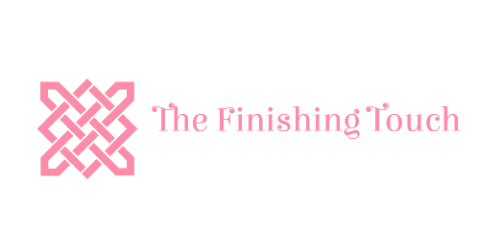 At The Finishing Touch we offer quality and affordable longarm services for your quilt tops. We are also authorized dealers of both Nolting Longarm Machines and the Intelliquilter Computerized Quilting system. We cater to the needs of quilters, longarm hobbiest and the professional through our services and on-line store. We live on the central coast of California where we enjoy sunshine and rolling hills next to the Pacific Ocean. After working in Child Welfare for 20 years and retiring, Roxanna turned her hobbies of quilting and longarming into a profession and business. Steve splits his time working on Tugboats in San Francisco and installing and servicing the machines and computer systems. We are loving this stage of our lives and participating in the joy of quilting! We hope that you will give us a chance to assist you with all of your longarm needs! "I wanted to find a local quilter and was in my local quilt shop. I saw some sample quilts and was told that they had been quilted by Roxanna at the Finishing Touch. I had a top that needed finishing so I decided to try Roxie. Wow! She did a great job on my quilt and the judges from both the Seven Sisters local quilt show and the Mid-State Fair gave Roxie compliments on the quality of her work! We even got a red ribbon at the Fair! Since then I’ve had her do other projects for me and they have been beautiful! I am so glad I found her!" "I am new to quilting. Roxanna treats my projects like I’m a pro. She is always very professional and gets my quilts done very quickly. I strongly recommend her to other quilters!"